Dr Mark Dennes focuses on restorative, cosmetic treatment and preventive care. 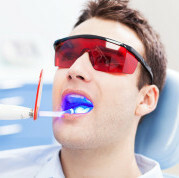 Laser dentistry combines increased comfort, precise results, and reduced healing time. 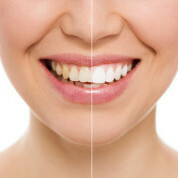 Invest in Smartbleach® Laser teeth whitening, the current gold standard in teeth whitening. Welcome to the Dental Practice of Dr Mark DennesDentist Sydney CBD - Ask us about dental crowns and laser teeth whitening! Dr Mark Dennes and his team believe that everyone deserves to have a healthy smile for life which is why we’ve invested in the best tools to achieve life-long oral health. A healthy smile is an important contributor to your overall health and wellbeing. We recognise that every patient is unique, which is why we create personalised treatment plans for every one of our patients. 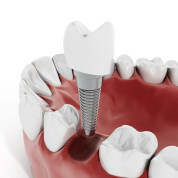 Treatment often involves the use of advanced technologies including laser, and virtually pain free dentistry. Dr Mark Dennes or Dr Kenny Wong will create an individual treatment plan for you, specifically formulated to achieve the results you desire. Our dentists regularly attend continuing education courses to stay at the forefront of cosmetic and laser dentistry developments. Our aim is to provide high quality dental care and advice to make your dental visits as pleasant and painless as possible. Dr Mark Dennes and Dr Kenny Wong work together in Macquarie Street near Martin Place Railway Station to deliver quality dental services to patients from all over Sydney. In fact, we have a number of patients from regional areas, interstate and overseas, who travel specifically to us to receive dental care! The foundation of Dr Mark Dennes and Dr Kenny Wong’s dental practice is built on trust and providing invaluable services to their patients. 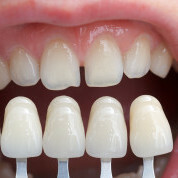 For many of our patients we employ laser dentistry or laser teeth whitening as an advanced solution to common dental issues such as discoloured teeth, bacteria and decay. Book an appointment with one of our qualified dentists to discover how you can benefit from laser dentistry and our array of dental services. Please note that we are a ‘mercury free’ dental practice. 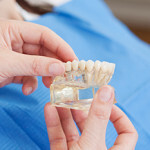 We have not used amalgam (mercury) fillings in our practice since 1998. Dr Mark Dennes and Dr Kenny Wong are happy to answer any questions you may have concerning your oral health and routine care. To ask a dentist, follow the link below to email us now.